ABOUT THE BOOK (Amazon): What if you knew an entire race of people was being systematically slaughtered but had to cover it up? Fake news. Alternative facts. Truth, lies, damn lies and statistics. Just who are we to believe? In this near-future dystopian thriller, that will be United Nations Police “moderators”. Thirty year old UNPOL officer Richard Warren has been embedded with the BBC and not seeing eye-to-eye with journalist Sarah Dyer is just the start of his problems. News of an Ebola pandemic is being withheld, and when it’s discovered Sarah’s artistic savant brother is involved, Richard’s determination to get to the truth takes an unexpected turn. 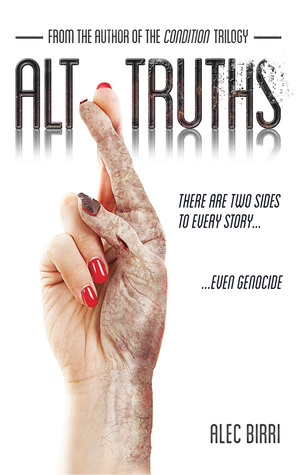 But what if the truth must never be known? And Richard thought Sarah was a challenge. The very concept of right and wrong is about to be tested and in a way that’s going to make fake news look like quality journalism. 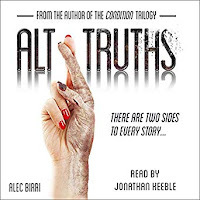 Alt Truths is the fourth book I have read by the talented Alec Birri, but it’s the first of his books that I have read in print. 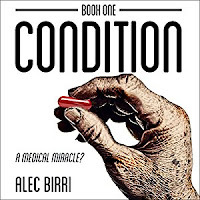 (The Condition Trilogy, I read with my ears and am still fangirling over the amazing narrator Jonathan Keeble.) Alt Truths does not disappoint. Thank you to the author for giving me an eBook in exchange for my honest opinion – the only kind I give. 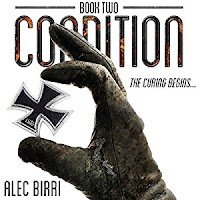 ABOUT THE AUTHOR: Alec Birri served thirty years with the UK Armed Forces. 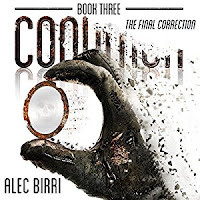 He commanded an operational unit that experimented in new military capabilities classified at the highest level (Top Secret Strap 3), and it is this that forms the basis of his novels. Although semi-autobiographical, for national security and personal liberty reasons, the events and individuals portrayed have to be fiction but are still nonetheless in keeping with his experiences.